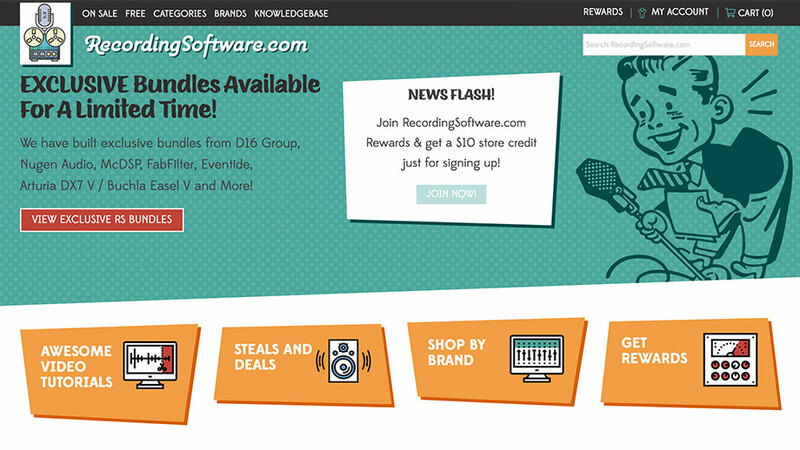 Complete rebrand of eCommerce platform for digital recording software company. Addition of customer forums and FAQ/Knowledgebase required custom search results. Rebrand reflects an inviting, playful, but knowledgeable attitude.